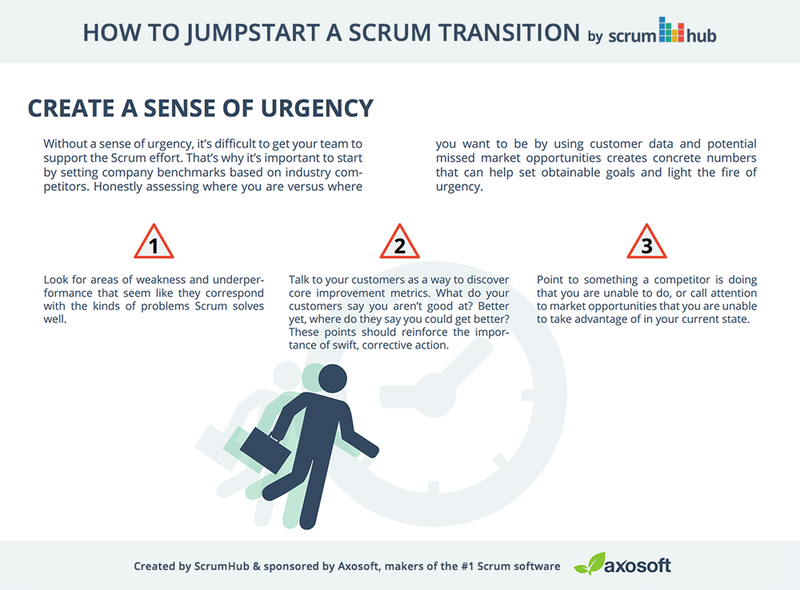 Without a sense of urgency, it’s difficult to get your team to support the Scrum effort. That’s why it’s important to start by setting company benchmarks based on industry competitors. Honestly assessing where you are versus where you want to be with customer data and potential missed market opportunities creates concrete numbers that can help set obtainable goals and light the fire of urgency. Look for areas of weakness and underperformance that seem like they correspond with the kinds of problems Scrum solves well. 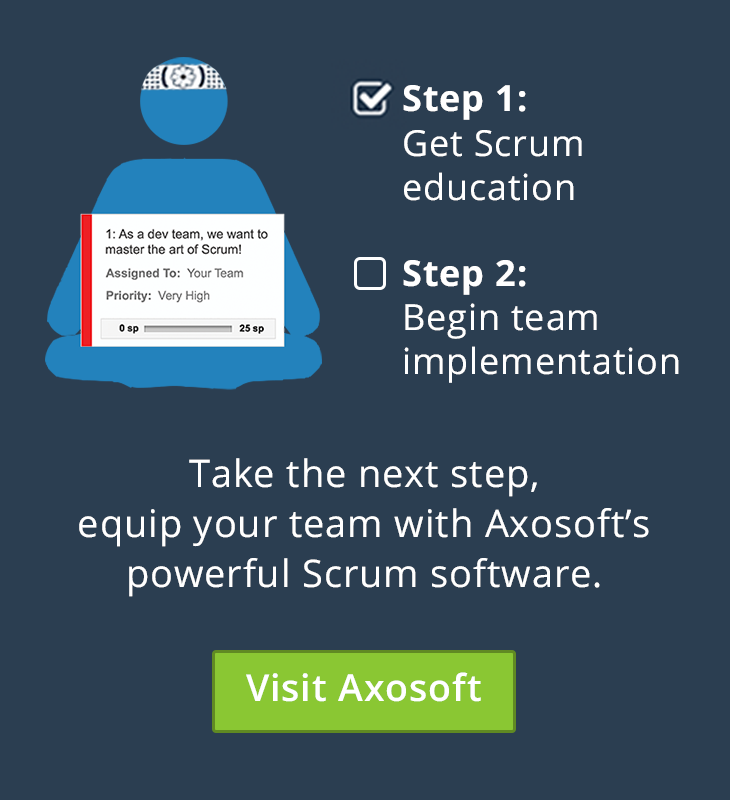 Talk to your customers as a way to discover core improvement metrics. What do your customers say you aren’t good at? Better yet, where do they say you could get better? These points should reinforce the importance of swift, corrective action. Point to something a competitor is doing that you are unable to do, or call attention to market opportunities that you can’t take advantage of in your current state.